Sleep apnea is a medical condition where the patient's airways become obstructed during sleep. It leads to snoring and, in certain situations, life-threatening medical conditions. This medical issue often causes an inability to get quality sleep and the results of sleep deprivation during the day. Fortunately, there are some options available when it comes to treating sleep apnea. Continuous Positive Airway Pressure devices are one of the primary ways of treating sleep apnea. It is a machine that feeds the patient with pressurized air that keeps the airways open as the person sleeps. Keeping the airways open helps to prevent any interruptions to the person's breathing while sleeping. Many CPAP machines are small enough to fit on a drawer next to the patient's bed, and a piece of flexible tubing and a mask is worn. There are a variety of options when it comes to the type of mask the patient decides to go with like nasal pillows and masks that cover the mouth and nose. Oral appliances can be used to treat mild to moderate cases of sleep apnea. These are mouth-guard like devices that are used to keep the patient's airways open during sleep. Two main types of oral devices are used to address sleep apnea: tongue retaining devices and mandibular advancement appliances (MADs). MADs are worn while the patient sleeps, and the device pushes the wearer's jaw forward, opening up the upper airway. A tongue retaining device has an attachment that keeps the tongue from falling back into the airway. Oral appliances are customized for each patient. 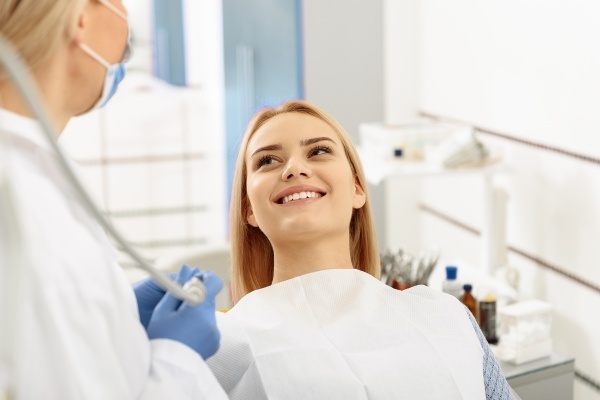 The dentist takes a digital or physical impression of the patient's mouth, and the dimensions are sent to a laboratory where the device is made. The dentists will contact the patient when the device is ready for a follow-up appointment and educate the person on adequately using it. Oral appliances are easy to use and carry around. Some instances of sleep apnea require surgical treatments. The exact type of surgical procedure used varies depending on each particular situation, but the goal is always the same: clearing up the person's airways. This is usually done by the removal of soft tissues that may be blocking the airways or the correction of nasal deformities like a deviated septum that can restrict the airway. Surgical treatments are typically considered after other treatments have failed. Surgical treatment might be done to remove polyps, adenoids, and enlarged tonsils. There are also surgical treatments that can be done to prevent the tongue from falling back into the airways. One of the causes of sleep apnea is being overweight. People whose airways become restricted during sleep because of their weight can treat it by shedding some pounds. Losing weight will improve the breathing of anyone who is overweight. We are ready to help! Contact us today. Find yourself dealing with sleep apnea? Contact one of our dentists to discuss these and other options. We are ready to help guide you in making the best decisions for your sleep apnea and health. Call (505) 634-5657 today to reach Family Choice Dental.